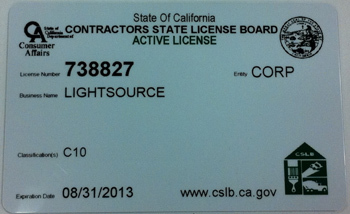 Light Source has been in business since 1985. We are a specialty lighting distributor, providing a wide range of products and services to our customers. While pricing is important, service and availability are also a priority. Light Source is comprised of an experienced and knowledgeable staff. Our growth is tied directly to customer satisfaction, and we prioritize the service level on which we've built our reputation. We are a distributor of GE lighting products, and several fixture lines including Lithonia and Lightolier. We have developed a broad network for hard to find items including; motion sensors, miniatures, wiring devices, and batteries. We have a solid background in servicing national accounts including; Equity Office Properties, Glenborough Realty, Morgan Stanley, Ritz-Carlton, Four Seasons, Marriott, Kimpton, and Omni Hotels.